Add a new UWP project to the solution and name it the same as the 8.1 app, but with the Universal suffix. Lastly, for the purposes of this demo, go to App.xaml.cs and change the initial launch target (MainPage) to be the new shared page (SharedPage). I could have put a button on MainPage for each app, but let’s keep this tutorial as short as possible. (NOTE: I put a TextBlock on the SharedPage and update the text in each constructor to show which platform launched it. Here are the WP8.1 emulator, Windows 10 PC and Windows 10 Mobile Emulator running their apps all showing the same XAML view). The Telerik Universal Control can be used in the shared page as long as each of the projects have a reference to the Telerik UYI for Windows Universal DLLs. Send me a tweet and show me what you’ve done, I’ll RT your awesomeness! Previous to Windows Phone 8, the Pivot and Panorama controls were part of a toolkit. The Windows Phone team did a solid by included these in the OS, they also added new controls like the LongListSelector to replace the toolkit’s ListPicker . These controls are now found in the Phone namespace. I hope this blog post was found when you searched for the error and it fixed it for you 🙂 Let me know if this doesn’t fix it for you and I’ll take a look at your XAML. So, you got an email from DVLUP stating that your challenge submission was denied. Why were you denied? What did you miss? I wanted to write this post to share the top reasons for denial and how to fix it… 90% of these are due to the fact you didn’t edit your WMAppManifest file. #1- You need to have all three tile sizes enabled for your app. 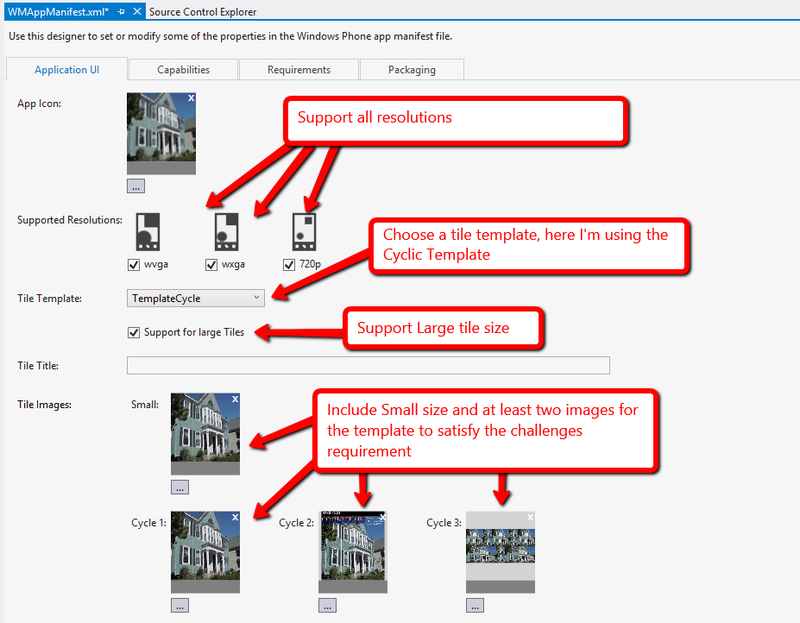 Here is a list of the tile sizes from the MSDN Documentation. To rectify this problem, simply toggle the “Support for large Tiles” property in your WMAppManifest file. See the image in answer #2 for more details. 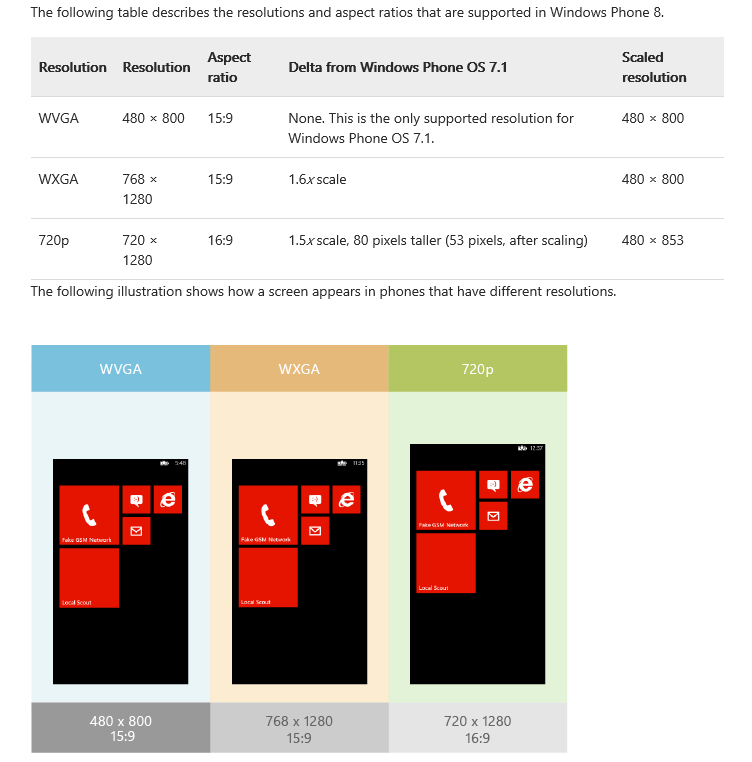 #3- Your app needs to support all three Windows Phone resolutions. 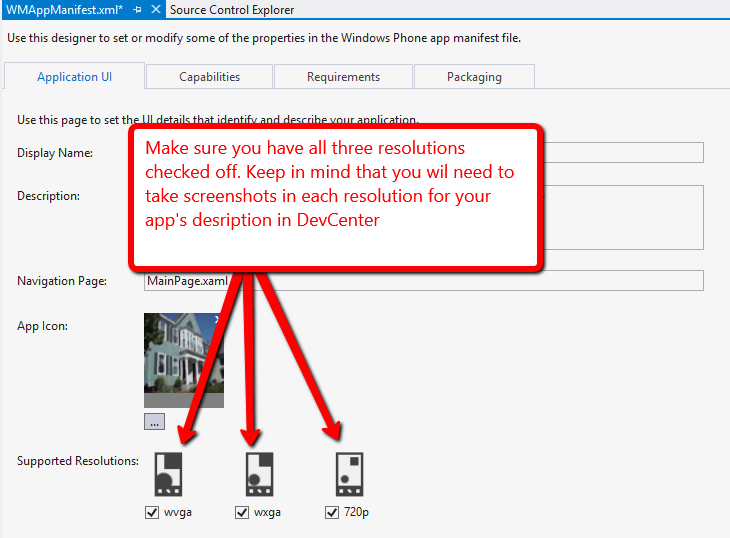 This link will take you to the MSDN documentation on how to target different resolutions. Here is a screenshot of the new resolutions for Windows Phone from the docs and also my WMAppManifest file. Great, now you’re armed with the information you need to resubmit your application. Update your app through DevCenter, once it’s live in the Store go back into DVLUP and resubmit the app to the challenge. If you have any questions, send me an email to ext-lance.mccarthy(at)nokia(dot)com.